The minimum wage is an hourly price that employers must pay employees for their labor. The federal government mandates wages be no lower than $7.25/hr, but individual states can require higher rates. In practice, it’s a federal edict that makes it illegal to hire workers not skilled enough to produce at least $7.25 per hour worth of goods or services. No matter what our age, gender, race, religion or height, we were all children once. How did we get from unskilled children to where we are now? We learned new skills and habits over time and with practice. Everyone starts out as a low skilled worker and becomes more effective as they learn. Not only do jobs teach important skills, they also reinforce a mentality of responsibility and maturity which is foundational to self-reliance. Learning skills that are useful to people and learning how to manage our time and operate as a productive member of society is an important lesson in growing up. The first opportunity to be responsible in a job setting (be it landscaping, refereeing, construction) is incredibly valuable. Without the ability to learn new skills, the unskilled among us are stuck with no way to better themselves. 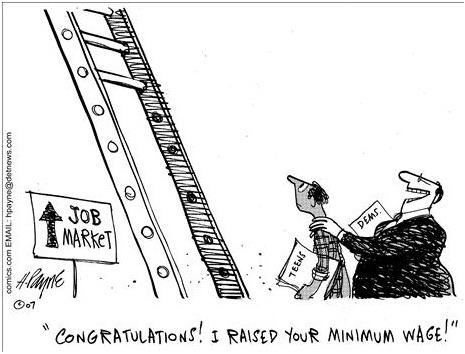 The definitionally unskilled -the young - are most hurt by the minimum wage. The inability to learn and find a spot to launch a career will continually hurt young workers as they get older. Long term earning trends can be drastically curtailed if skills are not developed early. You can observe the evidence of this in those who are getting back into the job market after long-term unemployment. Long periods of unemployment dramatically shift lifetime earnings potential. It’s much the same with youth who are unable to score a job and gain the skills and habits they need to build on that success. A failure to launch while young continues to harm people throughout their entire lives. The young and unskilled are disproportionately hurt by government wage controls. The average minimum wage earner is well under the age of 30. 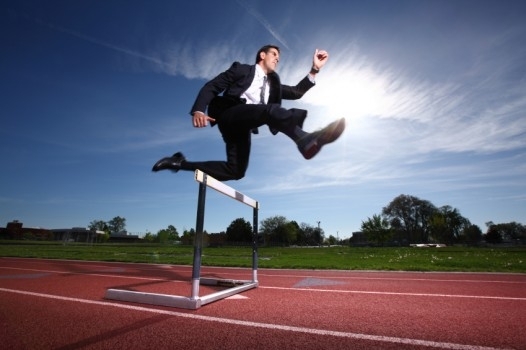 But when given an opportunity to work, people build skill quickly. The average person only stays at a minimum-wage job for one year before moving on to a higher wage job. Those who suffer from this government imposition are overwhelmingly young - not adults. Those who move on faster are workers who are better educated, who have comparatively more skills, and have a proven work ethic to build off of. Different levels of education signal and prove to employers that you have a certain level of raw talent to build from. This is not meant to say if you get a job early, you are on your way to being the next billionaire. It’s meant to show the importance of skills and habits that jobs provide. It’s nice to have money in your pocket as a kid, but it’s more important to your future to have skills that signify your work ethic. A track record of workplace success (whatever that success may look like) is vital to launching a self-reliant young adult into the world. The more opportunity we give people to better themselves, and the sooner we allow it, the better they will do. Is that so controversial? When you keep people from gaining skills, you not only harm them now, you harm them in the long run. When people go unemployed for long stretches of time, they lose the skills and sharpness they once had. As a result they have to do quite a bit of starting over. Unemployment, in excess of a year, decreases earnings by over $100K over a 25 year period. If young people have to jump arbitrary government hurdles before they can build skills, the negative effects will ripple through their lives. The minimum wage hurts the poor and disadvantaged the most. The simple fix: let your mind guides your heart, abolish the wage price control - or least, don’t raise it.